Today’s journeys brought me to San Francisco via The Call dated December 16, 1913. The reporting of General Terrazas being willing to offer himself as a human sacrifice to General Villa for his son. This was in regards to General Villa’s treatment to the people in Chihuahua. The back page of the issue had a report “Cancer Now Cured by Radium”. 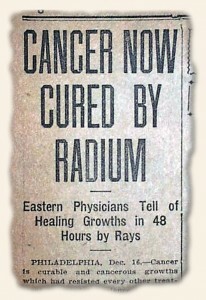 “…The power of the rays of radium over cancer is not only wonderful, it is appalling almost unbelievable…”. The front page contains an article pertaining to the recently recover Mona Lisa painting and an interesting story of an undertaker that was arrested for beating a man that blocked a funeral procession. In closing, the “Christmas Ship Brings ‘Yuletide and Goodwill'” relates of three passengers on the list of the Anchor line steamer California. They were the Rev. James Yule, Robert Tide and Miss Helen Goodwill. I wish health and happiest to all. Merry Christmas! Occasionally the human side of war comes through in the newspapers of the day, giving hard evidence of the tragedy of lost life and how it affects those back home. 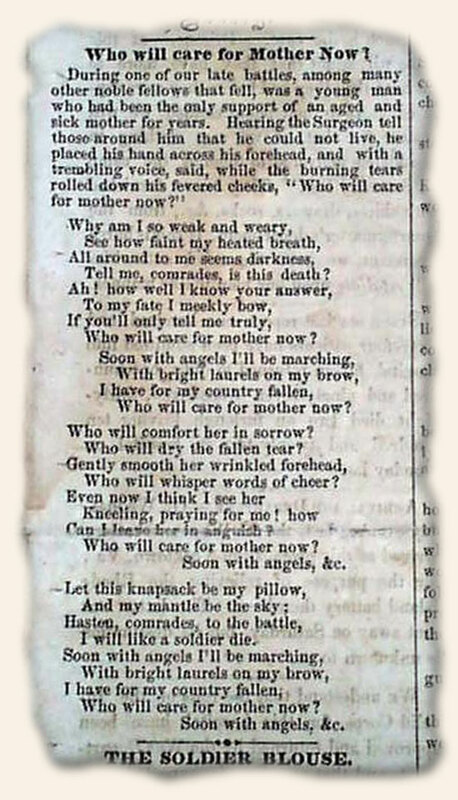 The front page of the: “Hammond Gazette” from Point Lookout, Maryland, Jan. 27, 1864, contains a poem titled “Who Will Care for Mother Now?” (see below) It reflects the sorrows & concerns of a dying soldier, and obviously attracted much attention as the internet is full of references to this poem, which at some point was to music as well. 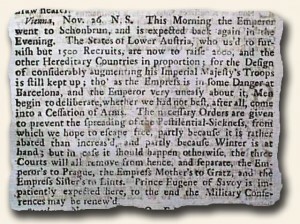 Today I traveled back to England through The Post Boy dated December 4, 1712. There I found that the Duke of Hamilton, who was about to be Ambassador, had fought a duel with Lord Mohun, but “… was kill’d upon the Spot, as well as his Adversary…”. Also within this issue are two different references to the “Pestilential Sickness” in which two women from Presbourg had recently died and there was great fear of it spreading. The other article spoke of “necessary Orders” begin given to prevent the spreading of the disease. I realize that we are not dealing with pestilential issues, but just a reminder that if you have not yet received your flu shot, you still have time!